Rating : 5/5 - Loved It. When absent-minded Professor Random misplaces the main character from Alice in Wonderland, young Henry Witherspoon must book-jump to fetch Alice before chaos theory kicks in and the world vanishes. Along the way he meets Winny Flapjack, a wit-cracking doodle witch with nothing to her name but a magic feather and a plan. Such as it is. Henry and Winny brave the Dark Queen, whatwolves, pirates, Struths, and fluttersmoths, Priscilla and Charybdis, obnoxiously cheerful vampires, Baron Samedi, a nine-dimensional cat, and one perpetually inebriated Muse to rescue Alice and save the world by tea time. When Henry first arrives inside of the book he's been transported to he's certain that it can't be happening. There is just too many strange things and people, including Winny Flapjack, the doodle witch. If not for Winny, Henry would be lost, as she will not only become his friend but his tour guide of this strange and magical world. She introduces Henry to many new people and creatures such as, whatwolves (what?) yes!, vampires, Muses, and a nine-dimensional cat. The world that Sasha Soren has created in Random Magic is completely and utterly engrossing. At times I had an extremely hard time peeling my eyes away from the pages. I was a little surprised at how much I enjoyed the story, because the randomness of Alice in Wonderland always confused me and I would soon get bored. I had no troubles reading this novel, although it was just as random as the classic. I enjoyed the randomness, and found myself laughing out loud during some moments in the story. While this novel is completely random and silly, it also has it's moments of suspense and at times it was even sad. I loved how this novel gave me a little bit of every emotion all packed into one. I'm really interested in reading more from Sasha Soren in the future, because by the looks of it, she has quite the imagination. I would highly recommend this book to those of you out there that enjoy the story of Alice in Wonderland, and want to read a new twist on the story. I also want to point out that I absolutly love the cover of this novel. 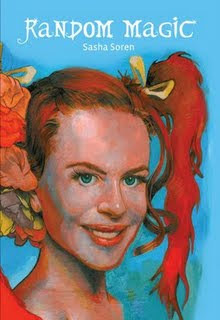 I think the cover model has a striking resemblance to Nicole Kidman, and I love the added color. I will most definitely be ordering my own copy for keeps. Where did I get this book? This book was circulated amongst many bloggers during a blog tour. The book/s were supplied by the author in exchange for our honest reviews. Clicking on cover images and links in this review will relocate you to Amazon.com. If you choose to purchase something upon clicking these links I will receive a small percentage from the sales. When twenty-five-year old Mary Stuart learns she inherited a farm from her recently murdered grandparents-grandparents her father claimed had died before she was born - she beomes obsessed with finding out who they were and why someone wanted them dead. Along the way she accumulates a crew of fiesty octogenarians-former gangsters and friends of her grandfather. She meets and falls in love with Tim Olsen, who's grandfather shared a deadly secret with her great-grandfather. Now Mary and Tim need to stay one step ahead of the killer who is desperate to dig up that secret. 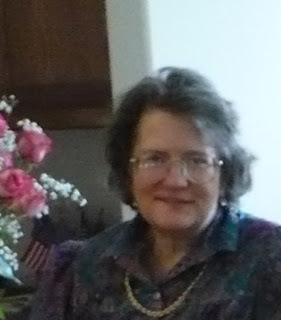 Pat Bertram is a native of Colorado and a lifelong resident. When the traditional publishers stopped publishing her favorite type of book--character and story driven novels that can't easily be slotted into a genre--she decided to write her own. 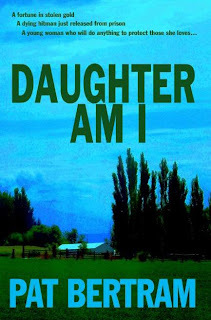 Daughter Am I is Bertram's third novel to be published by Second Wind Publishing, LLC. Also available are More Deaths Than One and A Spark of Heavenly Fire. By clicking on cover images and title links you will be redirected to Amazon.com. In the event that you choose to purchase something after clicking these links I will receive a small percentage of the profits. I hope you are missing me! Ok folks, here's the deal! I have moved, but unfortunetly am not able to get the internet right away because it costs so much for installation and what not (I'm forced to get satellite internet service because I live in the sticks). So that's the reason I haven't been posting! I'm so Sorry! I've been doing a little bit of reading (and unpacking a great bit), eh. So, I'm going to drag my computer over to my place (FINALLY! ), that way I can at least start writing reviews and then transfer them from computer to computer by flash drive. I'm really missing you guys, and the book blogging community :( I'm dying without a computer, and the internet! OMG! I barely even get cell phone service out there. I actually have to walk up a hill and stand next to a electric fence to get service, the good news, there's a baby cow there to keep my company during my phone conversations, lol. I'm also really sorry that I wasn't able to participate in Once Upon a Week due to the move. I will still be posting the interview with Today's Adventure, along with my review of If I Have a Wicked Stepmother, Where's My Prince? by Melissa Kantor. There will also be a giveaway for this book. I'm running out of time here right now, so...I must be signing off! Oh, and as for giveaway winners for the past few contests, I HAVE NOT FORGOTTEN YOU, I just haven't had the time to choose winners...so I'm printing everything and taking it along with me so I can do that within the next few days. I'm not sure when I'll be able to get back to my parents house to siphon some internet, lol. Update and Quick Mailbox Monday! Ok folks, here's the deal. I am in the process of moving, soooo I'm probably not going to do a whole lot of posting. My computer is at my mothers house and well, I'm not always there, lol. Trying to get internet so I don't have to go back and forth anymore! EEK!! 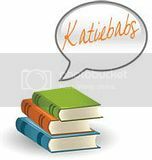 I have a few reviews that need to be posted this week...I'm still holding back a few so that I can eventually post a review a day, but with the moving its getting difficult to find time to read!